On November 27, the 2nd game of 13rd Kurashiki Tohka-sen was held between Kurashiki Tohka Shimizu and Challenger Yauchi Lady 4 dan at Kurashiki city in Okayama prefecture. Yauchi made a first move. 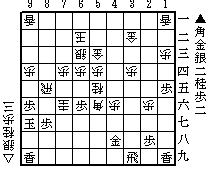 Shimizu won the game with 124 moves and she has defended the title with the score of 2-0. you can replay the game here. 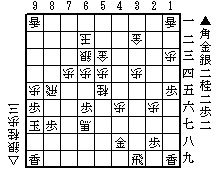 If black defended by N*8f, S*8f or B*8f from the diagram, then Rx8f Px8f N*8e Px8e S*8f K-8h S-8g+ K-7i B-7h+(mate). If black defended by N*7i to protect the square of 8g, then Rx8g(!) Nx8g S*8f K-8h Sx8g+ K-7i B-7h+(mate). If black defended by S*8h or G*8h to protect the square of 8g, then P9e would be a decisive move. In any case, Yauchi would be hopeless. So she resigned. Congratulation on Shimizu's defending the title.